Let's face it: tea goes well with sweets! These tea cake recipes are for creating tea cakes and other mouth-watering baked goods to enjoy with tea. They are delightful as an afternoon tea snack, a dessert, or for serving at a tea party. Imagine that a shortbread cookie marries a powdered sugar doughnut hole. Their offspring are Russian tea cakes! They are small, round, and sugar-coated like doughnut holes but have the crunch of shortbread. Russian tea cakes are very basic. The ingredient list is short, the directions are simple, and the cookies are easy to get right. 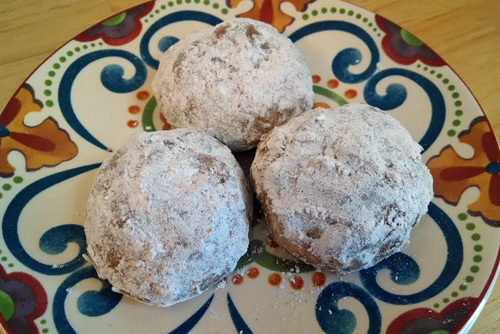 These cinnamon pecan Russian tea cakes are one variation of a time-tested classic. Cinnamon and pecans make this tea cake recipe a fun spin on the ordinary Russian tea cake. Russian tea cakes are traditionally Christmas cookies. But they're easy-peasy to make and go well with hot tea, so why not make them whenever you feel like it? How great is it to drink your tea and eat it too?! Using tea as an ingredient makes baked goods special by adding a hint of tea flavor. Baking with tea is for anyone who likes tea enough to eat it or just wants a unique recipe that will be a conversation piece at the next gathering. Shortbread is a quick, simple, and satisfying treat. Adding dry tea leaves gives it a little something extra that makes it more interesting than your standard cookie. 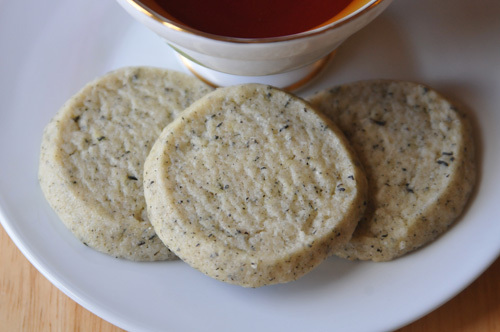 Earl Grey shortbread has a citrusy flavor and aroma that makes it extra delightful.